Hello and welcom e to the personal website of Darren J. Parker! I am currently a postdoctoral researcher at the University of Lausanne (UNIL) working with Tanja Schwander and Marc Robinson-Rechavi. 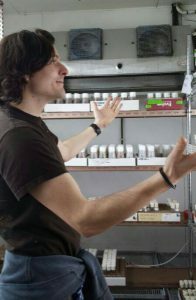 I study the evolution of traits and genes (mainly reproductive and behavioural) in insects from a population and molecular genetic perspective. For more information on my research, publications and my contact details please see the tabs at the side.